Construction is about a month behind schedule, Superintendent David Theoharides said Monday. SANFORD — The opening of the new Sanford High School and Regional Technical Center may be delayed, Superintendent David Theoharides told the Sanford School Committee on Monday. “It looks like (the contractors) are about a month behind,” said Theoharides. “I believe we will be able to get into the building by mid-September, but we will actually start classes there probably the first week in October, around Columbus Day,” said Theoharides. 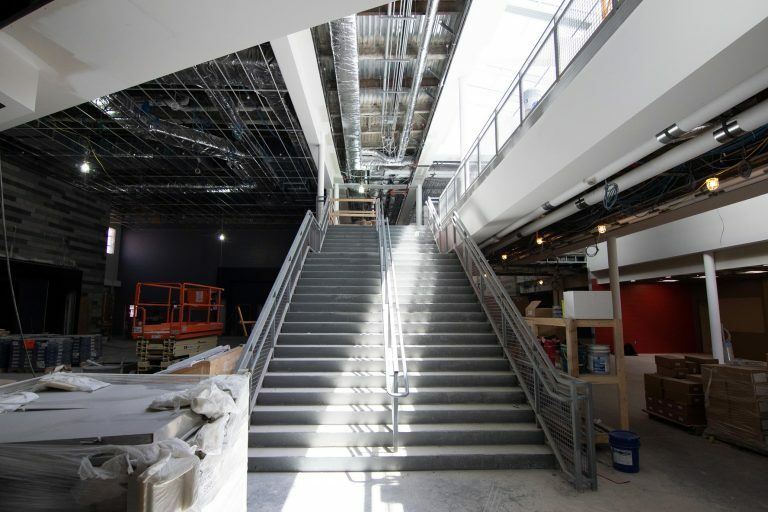 Classes would commence as usual in the current high school and technical center on Sept. 4, and then move to the new building when it is ready. Delays have plagued the $102 million construction project from the start. Vandalism that took place a week ago didn’t help as workers sat idle for a day. Theoharides said there was a shortage of masons and steel workers initially, and the contractor couldn’t make up the lost time. Construction workers recently began working overtime and on weekends to get the project finished, he said. School Committee Chairman John Roux asked about costs to the School Department from the delay. “If there are any costs because of the delay, the fees are charged to the contractor,” said Theoharides. That would include costs associated with keeping portable classrooms at the current high school for longer than anticipated. Some expected delays were announced in March: The school’s culinary arts program is scheduled to remain at Noble High School for the fall semester, where it has been located for a number of years because space was lacking in Sanford. Cosmetology and the landscape/horticulture programs will be located in available space in the new high school and technical school building, but won’t be in their specific labs until January, and the Performing Arts Center is set to host its first concert in December. School Committee member Kendra Williams asked about sporting events. Theoharides said the field can be ready for the first football game of the season on Aug. 31, and all other sporting events. Contractors are working on getting the locker rooms ready. In addition to delays, Theoharides also updated the School Committee on last week’s vandalism. He said a fire was started with some blueprints on top of a plywood table, there was a failed attempt to light ceiling tiles on fire, paint was splashed around, a window to an office was smashed and vandals drove a scissor lift into a wall on June 11. Sanford Police, the Maine Fire Marshal’s Office and the federal Bureau of Alcohol, Tobacco, Firearms and Explosives are investigating. He estimated the loss, including lost working time, at more than $100,000. The project is insured by the contractor, Hutter Construction Corp. of New Ipswich, New Hampshire, which is also responsible for security at the site, because it is their project until it is turned over to the Sanford School Department. The School Committee on Monday recognized Sanford Police Sgt. Craig Andersen, who was patrolling the area when he saw smoke. He pried open a window, gathered half-a-dozen fire extinguishers and put the fire out. “He went above and beyond the call of duty,” said Theoharides. Renovation of the current high school for use as a middle school is scheduled to begin Oct. 1. That project, renovating the junior high school into an elementary school and an expansion at Margaret Chase Smith School all came in over budget, and the school department is searching for ways to cut costs, the superintendent said.